We are often asked why we buy what we buy. 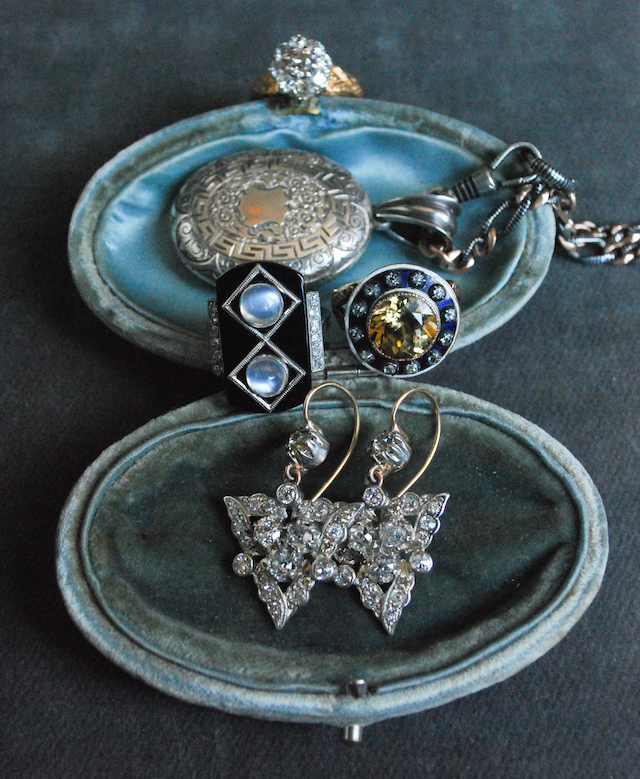 With regards to estate & antique jewelry, we're drawn to the sentimentality, the history, and the vast range of styles born from various periods. For us, it's more about an instinctual magnetism, pulling us toward unusual stones, rare cuts, and lost art forms. Estate jewelry offers an element of mystery alongside seductive beauty and allure. Our curations are reflections of our own personal influences and aesthetics, but also serve as art pieces in themselves—suitable for admirers and collectors alike. 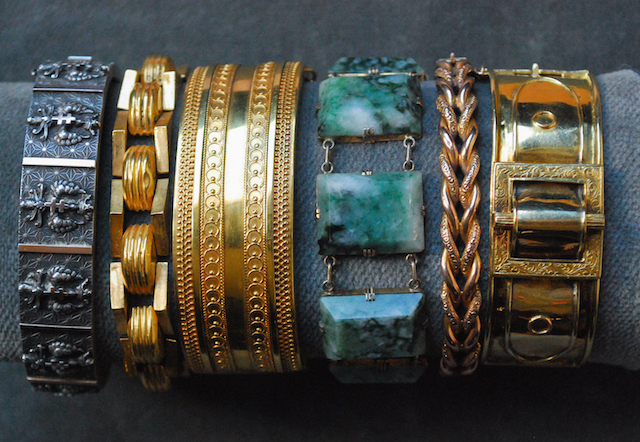 Scroll down for some of our favorite estate pieces new to the shop. 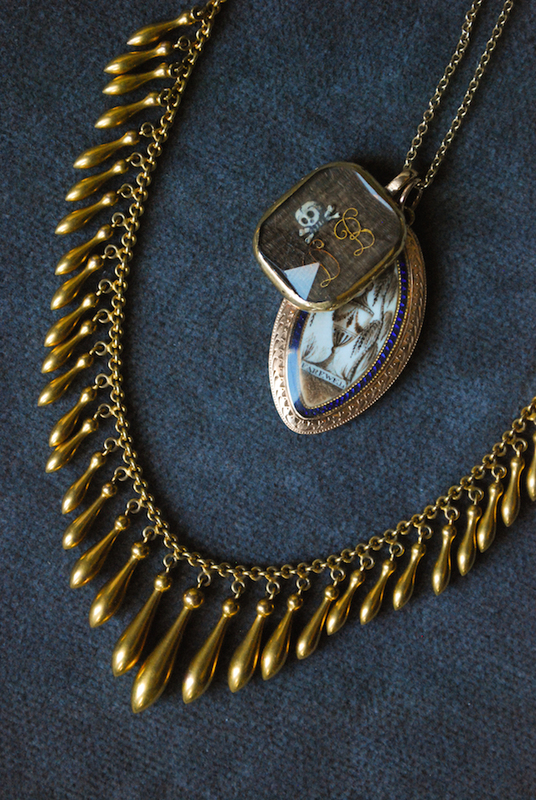 The memento mori pendant (pictured above) exemplifies the rarity and beauty we love to stumble upon. Memento mori jewelry, latin for "remember that you must die," was made with an intent of remembrance and reflection for the wearer. This particular piece features a faceted crystal face, intricate hairwork, gold cipher initials, ivory skull & crossbones, set in 18k gold. 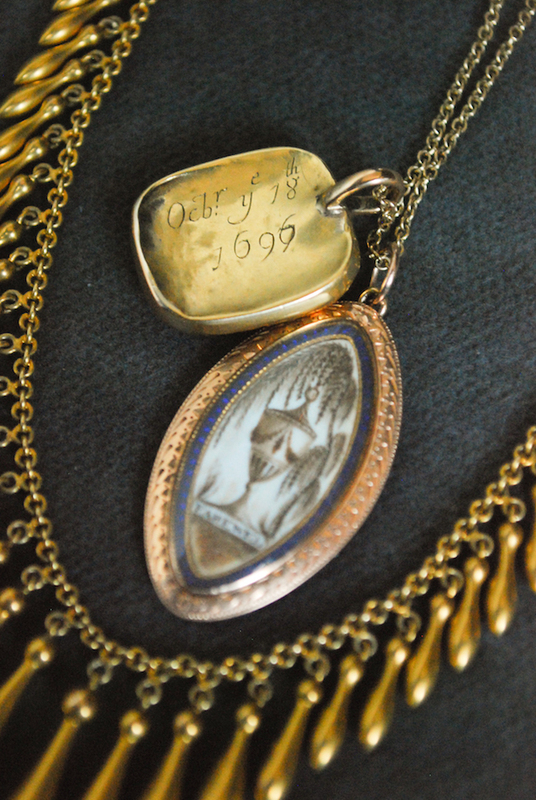 The inscription on the back (pictured below) is most likely a day of death, but also provides a general timeframe as to the pendant's production.